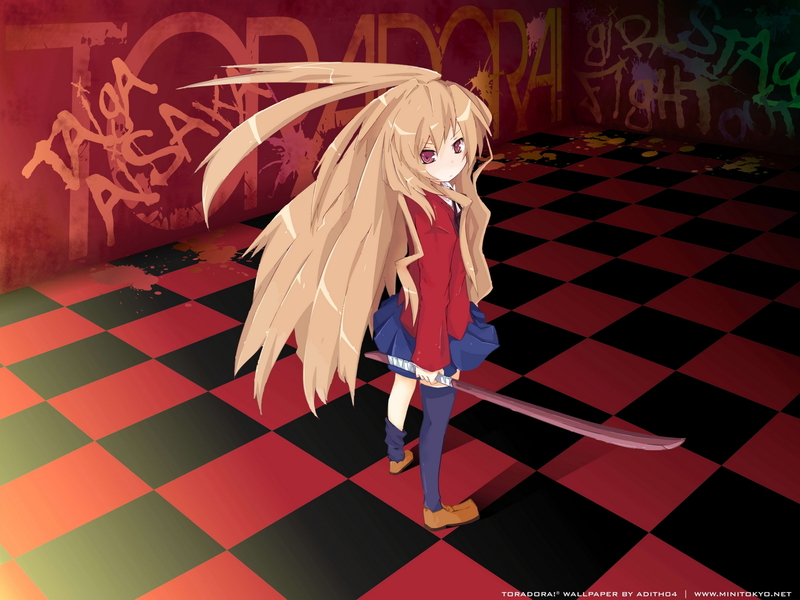 I just finished another long process of making a wallie.. this one is Taiga Aisaka of Toradora! anime.. I haven't watched the series myself so it's a little hard to come up with a concept or an image for her.. so I decided to make her look like a delinquent (since she's holding a wooden sword anyway ^_^)..
well guys, please feel free to give any comments on this work.. Finally! A cool picture of taiga with an even cooler background! Will become my fav. .
Nice style wallpaper will go in my fav list. i really like it, but just one thing: i find it a little odd that there's such a dark shadow in the corner of the room and no shadow on her. infact you brightened her? confused. but other than thatn the bg and everything are very cool.